Every week, a lucky Bryant Park Corporation employee gets to explore The Holiday Shops at Bryant Park to give you a glimpse at what this year's vendors have to offer. Nell hunted down great gift items for animal lovers and pet owners. My best friend from high school is a true animal lover so I hit the Holiday Shops in search of the perfect gift for her. I was pleasantly surprised to find a number of fun ideas throughout the park. First, I stopped into J-Wave on the Upper terrace near the Holiday Tree. The shop is chock full of charming home accents and perfect stocking-stuffers. 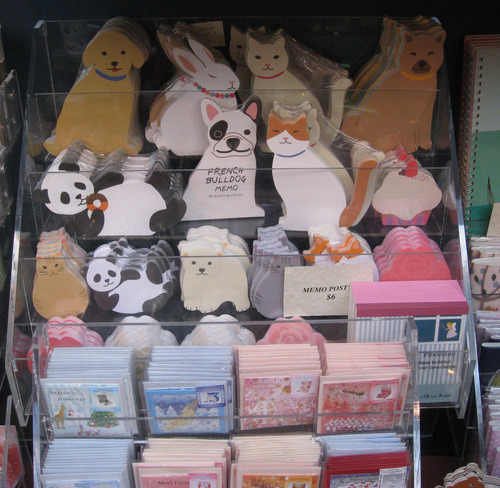 An adorable collection of animal shaped desk calendars, from panda bears to bunny rabbits, caught my eye at $10 apiece. Add a matching notepad and you’ve got a perfect gift set. The shop also sells a wide variety of animal themed holiday cards including pop-up and advent cards for $5 each. 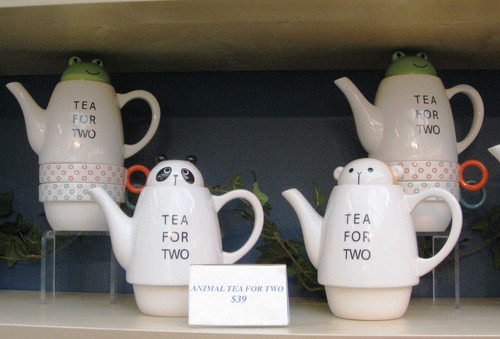 For tea enthusiasts, consider a Tea for Two set, complete with two cups and a pot adorned with a precious animal figure lid. The sets sell for $39 and are sure to brighten any rainy afternoon. Just around the corner on the Upper Terrace, I wandered into Bear Hands & Buddies, a delightful store specializing in mittens, scarves and hats. 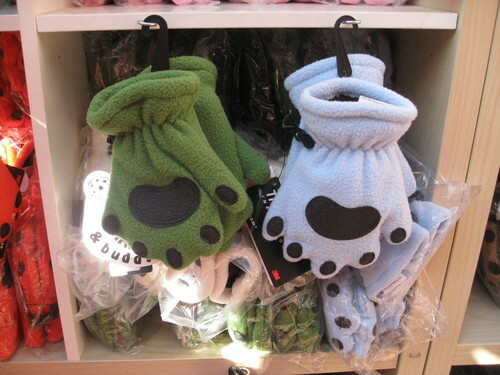 Their signature item is a pair of mittens which resemble the paws of a bear. Available in adult and youth sizes, the mittens have a flap at the palm which allows for the use of your digits on cold days. 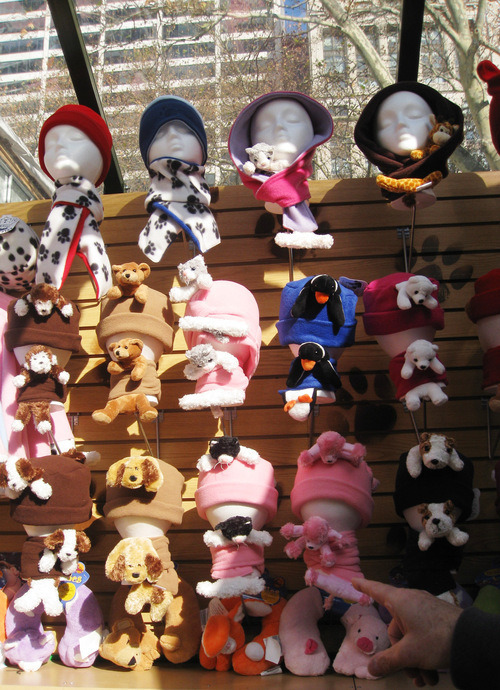 The scarves and hats feature stuffed animal details that children will love, and are a clever way to convince your little ones to bundle up in the cold. The mittens run from $13 to $21 and hats and scarves are $16 a piece. My friend is also the proud owner of a feisty French bull dog, and lucky for me there is a whole shop dedicated to doggy treats and outfits in the southwest corner of the park. 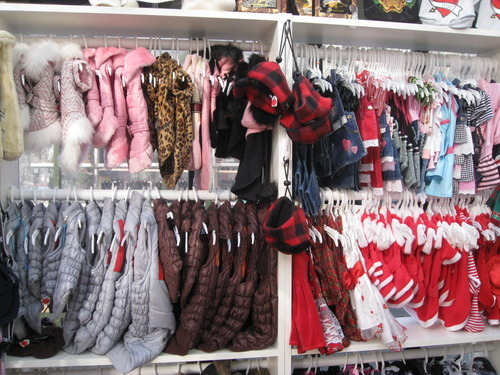 Annie's Dog Bakery and Boutique has a fantastic collection of canine coats, sweaters, hats, and cookies. 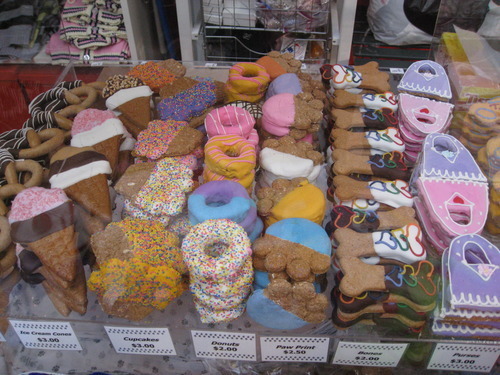 I was immediately blown away by the delectable looking selection of treats behind the counter including everything from dog-healthy cannolis, pretzels, and doughnuts, to cookies shaped like martini glasses and taxi cabs. Single treats range in price from $2 to $3.50 or you can purchase an assorted gift box for a friend who loves to spoil his or her pup. For the dog-owning baseball fan, Yankees jerseys and sweatshirts in canine sizes are bestsellers this year.